Much of the coverage concerning the preliminary Census release from yesterday has focused on vacancy. This has meant distinguishing between those housing units classed as holidays homes in each area and units that are ordinarily vacant. One of the more puzzling statistics to emerge from this distinction is the 190% increase in the number of holiday homes in Dublin city since 2011. In that year, there were 322 vacant holiday houses in the city but those rose dramatically to 937 in April’s census. What might account for this near trebling in five years? In particular why, in the middle of a housing shortage, is there almost twice as many housing units classed as holiday homes in a dense urban area when compared with five years previously? Speculation with some others on twitter concentrated on the possibility of these being AirBnB properties. I decided to put some focus on this explanation to see if there’s any truth to it. In recent months there has been a number of online features concerned with how AirBnB (a company which matches bodies with beds across the world) might be affecting rents. If people are renting their city property through AirBnB for much of the year, how might this affect people seeking to live and work in the city full time? For example, in a number of North American cities there are concerns that full-time AirBnB rentals are displacing residents (e.g. see here or here) who are in lower paid jobs and subject to ever-increasing rents. Some city authorities are coming under pressure to restrict the use of full-time rentals through the company. A property owner can make far more renting out short term lets to passers-by than s/he can from locals who are seeking merely to continue living in a city they work and have a life in. There is a vital politics to this displacement where AirBnB rentals are pricing people of lesser means out of particular areas of a city bustling with tourists. It is an extreme example of gentrification by displacement, almost making the popular term redundant in its bluntness. The uneven geographies of AirBnB rentals hits home for many in this city too. In Dublin in June, the city council raised the prospect that full-time AirBnB rentals in Temple Bar, a particular zone of intense tourist activity, would be subject to planning permission. The Council argued that a particular property in the neighbourhood was effectively a material change of use from residential to commercial. It insisted of course that this ruling was “site specific” and did not cover the entire Temple Bar area. The prospect of an imposition of a change of use for the area as a whole is remote though: this seemed like a shot across the bow. Luckily for us, InsideAirBnB allows us all access to data for rentals across a large number of cities to determine if the company is facilitating displacement. I took the January 2016 data from this site and, aside from knowing the first names of each of the renters, the database contains a number of interesting data. There are 3,772 properties in the AirBnB database in the four local authority areas. Of this number, 3,116 (83%) are in the Dublin City Council area. 1,222 or 39% of this subtotal are for rent, according to the dataset available under Creative Commons, for 300 days or more per year. The heatmap below (Map 1) shows that near-year long rentals are broadly clustered within the Temple Bar, Cow’s Lane and north Docklands areas. Those rented 365 days per year (249 properties) are distributed slightly differently. They are by no means overlooking the splendour of Dublin Bay. 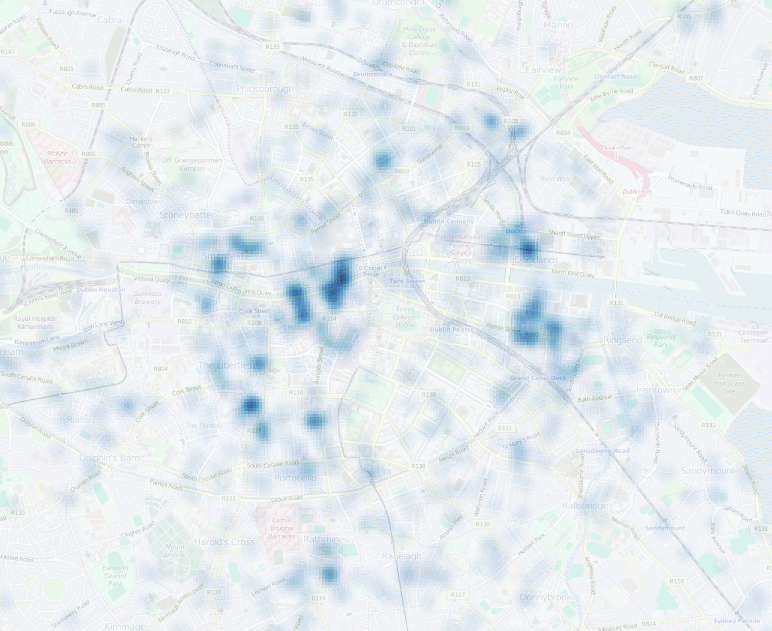 Map 1: a heatmap of the 1,222 properties available for 300 days or more on AirBnB. Data: InsideAirBnB and OSM contributors. They are scattered across the city with some clusters in Drumcondra, Rathmines and Portobello. Map 2 below shows the distribution of these year-long AirBnB properties across the Dublin City area, Map 3 shows the distribution of entire house/apt available for rent for 300 plus days a year (as opposed to a room in an already occupied dwelling). It is not beyond the realm of possibility therefore that the >300 days per annum rentals in this database includes a figure of 937 holiday houses recorded in the census. In fact, there are 934 properties rented out for 335 days or more per annum in the database. If you spent the month of December in your own city centre apartment, and rented it out for the remaining 335 days of the year, you might well be among the 937 recorded in the Census. 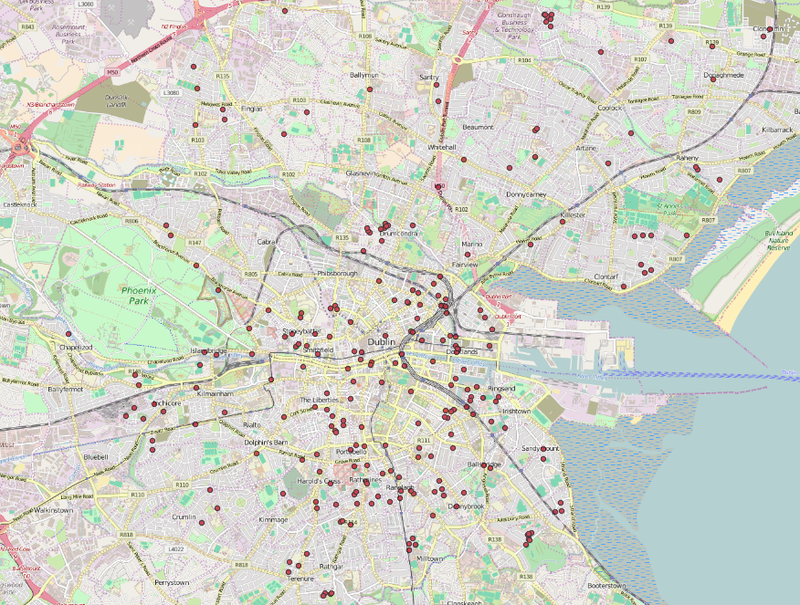 Map 2: Year-long AirBnB rental properties (n=249) in the Dublin city area. Data: InsideAirBnB and OSM contributors. But this is a numbers game. We’ll have a better sense of the distribution of the city’s holidays homes when the more extensive data release begins in April 2017. Why does Dublin City have 21,781 vacant units? For the past couple of years the housing discourse for Dublin city has been one of housing shortages and a homeless crisis. The preliminary census figures published yesterday reveal that while the vacancy rates (exc holiday homes) for South Dublin (4%), Dún Laoghaire-Rathdown (5.7%) and Fingal (5.3%) are below a base vacancy level of 6% (in a ‘normal’ market we would expect c.6% of stock to be vacant due to selling/rental gaps, deaths, etc), suggesting that they have housing undersupply, Dublin City Council has a vacancy rate of 8.6% (exc. holiday homes). In total DCC has 21,781 vacant units (20,844 exc holiday homes). 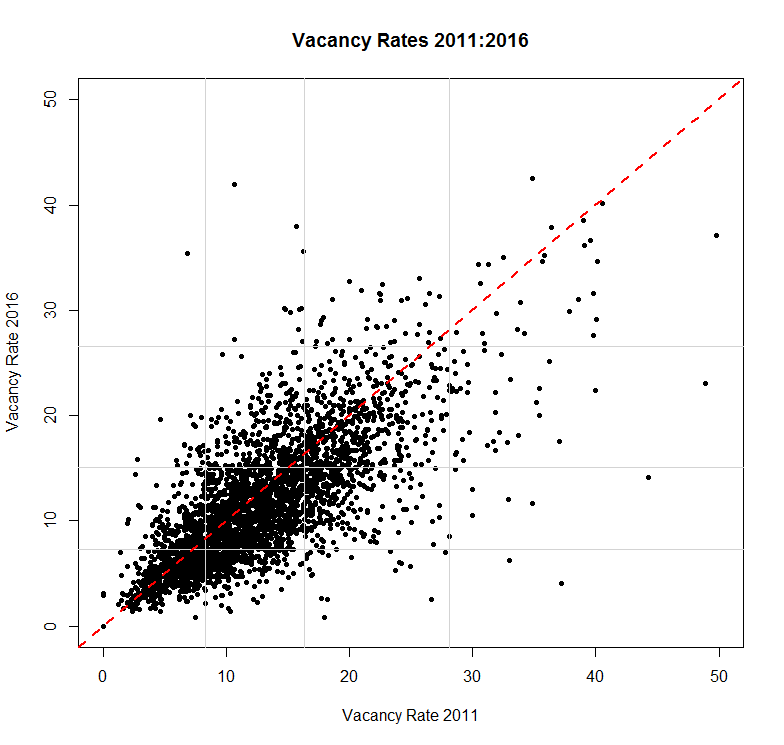 On a base vacancy of 6% (14,544 units) that suggests an oversupply of 6,300. In other words, there is something pretty odd going on given the homeless rate has been increasing, large numbers are on the housing waiting list, and there’s a widespread belief that the city desperately needs to build housing. So, what constitutes these 6,300 excess vacant units? It’s somewhat difficult to know without visiting them and doing an on-the-ground survey, but let’s start with looking at the geography of vacancy in DCC. Map 1 shows the % vacancy in the city minus holiday homes, and Map 2 shows change in the number of vacant units since 2011. In Map 1, all the areas not shaded pale yellow has a vacancy rate (exc. holiday homes) above 6% base vacancy. Much of the city centre and to the south have rates above 10%, and two EDs have rates above 20% (Mansion House B, Pembroke West B). 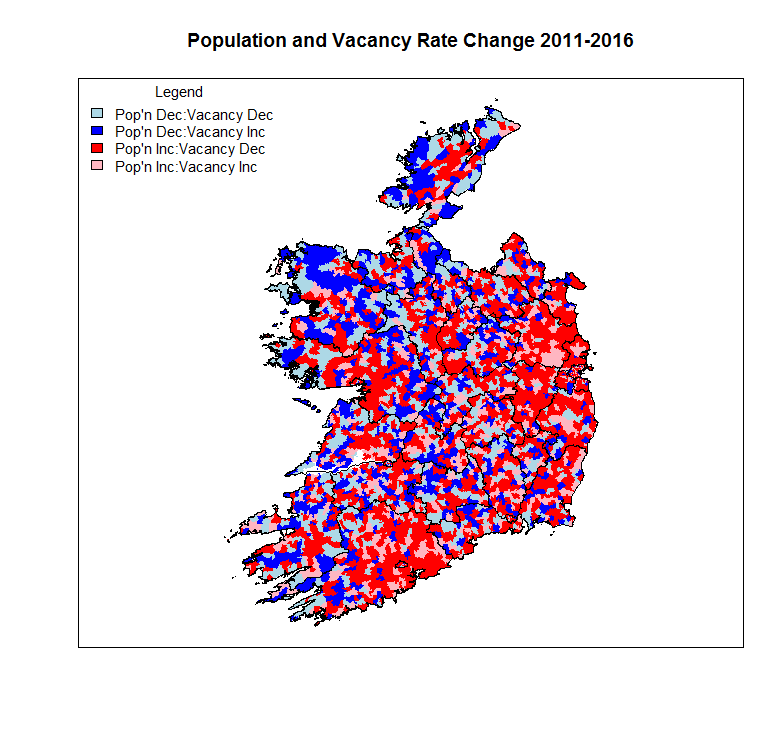 In Map 2, the blue areas have seen vacancy rates decline between 2011 and 2016, whereas red areas have seen an increase. Interestingly, a number of areas have seen quite large increases in vacancy, especially within the canals near to the city centre, Ballsbridge and Rathmines. I’d be interested to hear about other possibilities. Whatever the reason for the vacancy, it appears that this stock is not presently available to the market and therefore there continues to be a shortage of housing in the capital. The prelim results for Census 2016 have been released. The population has grown by 165K from 2011 to 4.757m. Housing units grew by 19K to 2.022m. Housing unit vacancy fell by 30K to 259K. Of these 259K units, 61K are holiday homes (HH), a slight growth of 1.8K from 2011. The map below shows vacancy nationwide and the table the 2016 figures and 2011-16 change. 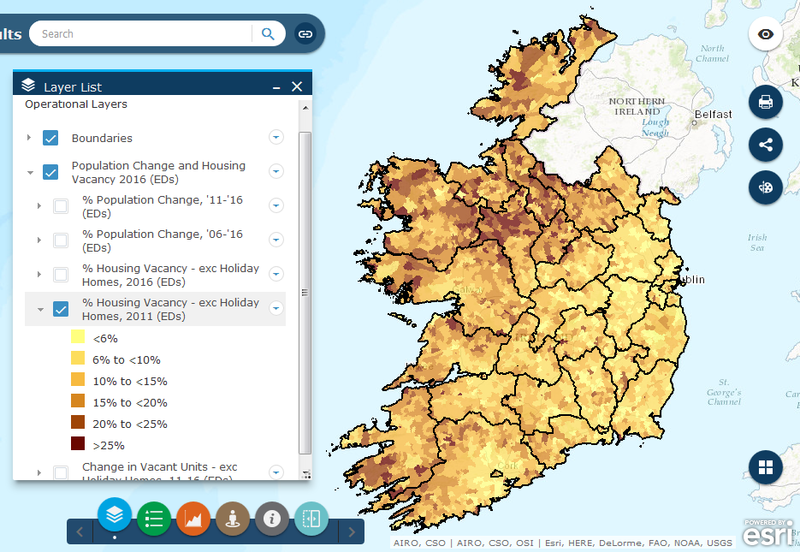 I’ve added in some of my own calculations to the data available on the CSO website – vacancy rate minus holiday homes and oversupply (calculated as vacancy – holiday homes – 6% base vacancy [the rate one might expect in a ‘normal’ housing market]). What the figures show is that while vacancy is falling everywhere, there are only three local authorities (LAs) with vacancy rates excluding HH less than 6% (DLR, Fingal, South Dublin). These three LAs also have an undersupply of housing relative to base vacancy. Moreover, there are still a number of local authorities that have very high vacancy levels. Longford, Westmeath, Clare, Kerry, Limerick county, North Tipp, South Tipp, Waterford City, Galway county, Donegal and Monaghan all have vacancy rates (exc HH) between 10-15%. Leitrim, Mayo, Roscommon, Sligo and Cavan have rates above 15%. Four of these latter local authorities were part of the Upper Shannon Renewal tax incentive scheme. All of these local authorities still have significant oversupply of housing stock. In other words, what the data shows is that housing supply is needed in Dublin, but there is oversupply in much of rural Ireland, especially in the North West. “What is clear is the different trend emerging between the cheapest and dearest areas. The strongest price growth is currently in previously unfashionable postcodes – the market’s judgment, not mine! The point is not to question whether or not gentrification is happening, and, as I will discuss later, I agree that it poses considerable challenges for the social reconfiguration of Dublin. However, invoking a notion of ‘accidental gentrification’ is not just a throw-away catch phrase, but encapsulates a highly questionable attitude to the dynamics of housing and urban change. One of the predominant dangers of the notion of ‘accidental gentrification’ is that it makes it seem as though it is an unstoppable force that has no discernible cause bar the ‘market’. Instead, the market is made out to have its own agency in making judgements about place. This perspective builds upon much of the current representation of gentrification within media discourse as though almost a natural force. Indeed, in this highly mediated world, gentrification has increasingly been put across as a form of saviour from ‘blight’ and ‘decay’, which are also outlined as inevitable parts of urban change. The notions that both urban decline and renewal operate in a form of power vacuum have been central to critiques of gentrification over the last forty years or so. Furthermore, there is, as Tom Slater has pointed out, nothing ‘natural’ about gentrification. Much of the literature on the topic has demonstrated how gentrification is symbolic of the inherent unevenness of contemporary capitalist cities and how this becomes represented through numerous factors such as rounds of disinvestment and investment, social class, and questions of ‘taste’. In evoking a notion of a ‘accidental gentrification’, Lyons seems to be attempting to differentiate between different degrees of desire to live within a particular area. However, there is nothing accidental about this and the relationship between gentrification and notions of choice and compromise have formed a central feature of gentrification debates over the last number of decades. Indeed, perhaps the most lucid examination of the compromises of gentrification is the work of Sharon Zukin. In particular, Zukin has outlined the relationship between culture and capital in the urban core as a form of ‘historic compromise’. In making compromises, different groups have, to different levels of success, drawn on their own resourcefulness, such as lobbying, to promote their own social agenda in a particular locale. While there may well be different levels of perceived desire to move to an urban locale, decision making needs to be considered in the context of wider processes and how they play out in different contexts. Not least in this is affordability and access to capital, factors that are by no means an accident. The combination of these factors may vary, but are of key importance in understanding gentrification. It could be the ‘artist pioneer’ in search of a new ‘frontier’ and cheaper rent, the, by now, almost cliched notion of the tech worker seeking the new fashionable location, or, the movement of the middle class to less well off parts of the suburbs. This is not even to mention the role of property agents, investors and banks. If the, at times highly charged, debates about gentrification over the last fifty years have thought us anything it is the myriad of actors and forces involved in urban change. To declare any form of gentrification as a type of accident is not only highly reductionist, but it is severely misleading about the realities of urban transformation. It is as though the areas in question are a form of black hole into which house buyers involuntarily fall. This goes way beyond the rather problematic notions of gentrification as a ‘natural force’ and ventures into the realms of gentrification as a form of mystical activity that just happens. When taken to its logical conclusion, it could almost seem as though all housing choice is some form of accident. Where I agree with Lyons is the potential danger that central parts of the city could be turned into an enclave for the rich. However, the means by which to address such a possibility will not be solved by the reduction of land-use standards and other measures that are entangled in speculative land markets. As is the usual with such an approach, it seeks market-bases solutions for a market-based problem. Not only is this not likely to be a solution to the issue, but it may reinforce it. Indeed, the notion that a more market friendly approach to the delivery of housing will produce housing for the less well off in society is highly questionable. Frank McDonald’s article on ‘designer shoebox living’ is a case in point. As I have argued before elsewhere, we need alternative approaches to urban transformation. A deeper engagement with gentrification theory teaches us is the inherent unevenness of capitalist urbanization and how this is played out within housing. If we at least become aware of this, we might be able to conceive of new ways of dealing with it.